LGBTQ+ Studies at Hofstra University focus on lesbian, gay, bisexual, and transgender people, their history, and culture. LGBTQ+ Studies examine sexualities and genders as identities, social statuses, categories of knowledge, and as lenses that help us to frame how we understand our world. A minor in LGBTQ+ Studies is available to students in any major through the Hofstra College of Liberal Arts and Sciences. LGBTQ+ Studies will benefit students who plan to go on to graduate school to earn advanced degrees in business, counseling, education, law, psychology, and the humanities. The LGBTQ+ Studies program is an interdisciplinary program that features a University-wide network of faculty mentors and a winter study abroad opportunity in Paris, France. Hofstra professors from various fields of study teach in the LGBTQ+ Studies Program, including literature (Classics, French, English, Spanish), rhetoric studies, media studies, education, and religion studies. The inherently interdisciplinary nature of LGBTQ+ studies is thus well served by the different domains of study and their methodologies. 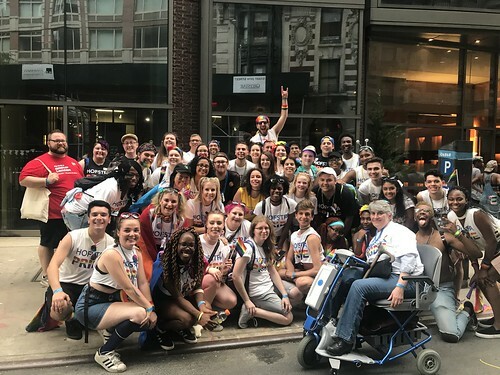 Faculty and staff mentors make themselves available for consultation and advisement, especially as the LGBTQ+ Studies Program offers the possibility of quasi self-fashioned courses with the cooperation of professors who are inclined to do so. Interested students often find it helpful to consult with a mentor to help them pattern a course or a series of courses that respond to their personal interests.